I read this article and found it very interesting, thought it might be something for you. The article is called My Android App Wishlist and is located at https://www.ben-johnston.co.uk/my-android-app-wishlist/. Anyone who knows me will tell you that I’m pretty much attached to my phone. It’s a HTC Desire with Android and I absolutely love it, but there are a few glaring – and surprising – omissions from the Android Market that I’d love to be able to get my hands on. So without further ado, let’s take a look at my Android app wishlist. The world’s favourite search engine are behind Android, so I must say that I find it a little odd that there’s no official Google Analytics app out there. We can blame my workaholic tendencies for me wanting this but I’m sure that a lot of people would find it useful. As it stands right now, I get my mobile metrics fix from mAnalytics and although it’s a bit limited compared to the official Google Analytics web platform, it does the job. It’d be nice to see what Google would bring to the party with an official app. 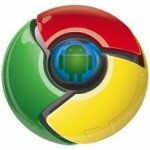 Again, how is there not an Android version of Google’s own browser? If you read my browser war post, you’ll see that I’m a bit of a browser freak and Chrome seems to be winning at the moment. I’d love to be able to synergise my phone browser with my PC one. At the moment I’m using Opera on my phone and as great as it is, I’d love to get my hands on a mobile version of Chrome, especially if it used Xmarks and could sync my bookmarks. Although I don’t know how much use this would be on a phone, this iPad app is great for reading on tablets and with Android making some serious moves in that market, it’d be good to see this ported over. There are plenty of decent alternatives to Flipboard – Google Fast Flip being one of them, but again, no official Android app. The best one I’ve found is Pulse, which is very good (especially since you can add my feed *hint hint*) but right now, Flipboard’s the killer app. 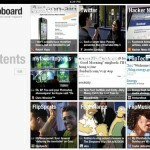 If you’re on Android, Pulse is great, but Flipboard or an official Fast Flip would be nice to see. So that’s my Android app wishlist for now. How about you? Any glaring omissions or just something you’d like to see on the mighty Droid? Leave me a comment and let me know.